Paytm announced today that it has partnered with IIT Kanpur under its ‘Cashless Campus’ initiative to bring its cashless payment solution to the country’s premier engineering college. 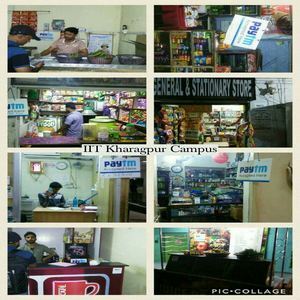 Paytm has enabled its QR Code-based cashless payment solution across various offline touch-points within the IIT Kanpur campus including the Hostel Canteens, Medical Store, Tea Stalls, Book Stalls and Cycle Repairing shops among others. This will help students and teachers make quick and easy payments without the worries of carrying loose change. This move is in line with Paytm’s strategy of targeting major campus areas for cashless transactions. Over the past years, Paytm has forged partnerships with several top colleges, universities and coaching across India. Prominent institutions accepting Paytm include top management institutions like IIM A, IIM B, ISB- Hyderabad and Mohali, XLRI and IIM Indore and more. Premier engineering colleges like IIT Bombay, IIT Kharagpur, IIT Delhi, IIT Madras and IIT Gandhinagar among others also accept Paytm today. The company has also partnered with several top private colleges like Symbiosis and Christ College among others, Delhi University Colleges like Sri Venkateswara and Shaheed Bhagat Singh and coaching institutes like Aakash, Career Launcher and Byju’s to name a few.